Do you have plants in your office building that aren’t being maintained properly? They could be doing more harm than good. Rather than beautifying your space and providing you with improved air quality, your plants are likely turning into eyesores and leaving visitors with a poor impression of your business. Prevent this from happening by calling on Foliage Design Systems Atlanta for all of your plant maintenance needs. We can set you up with a plant maintenance package that will provide on-site plant care, allowing your plants to stay healthy without any hassle on your end. Regardless of whether you have purchased your plants or if you are taking advantage of the plant rental packages offered by Foliage Design Systems Atlanta, it is always wise to consider our plant maintenance options, as well. We can sit with you to discuss a set schedule for your on-site plant care, depending on what type of plants you have in your office space and the level of upkeep they require. With our office plant care packages, your plants will get the food, water and nourishment they need to flourish and have a positive impact on your office environment. 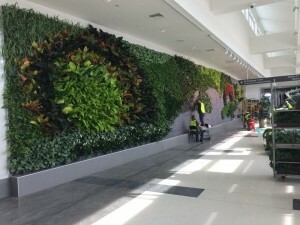 If you have plants in your office or commercial space that you are trying to take care of on your own, or worse, if you have plants that aren’t getting the on-site plant care they truly need, you can change that by reaching out to the experts at Foliage Design Systems Atlanta. 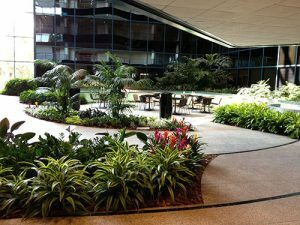 Whether you need us to come out once a week, once a month, or just as-needed, Foliage Design Systems Atlanta will take on your office plant care needs and make sure your investments are well maintained. You don’t need to have a plant rental from us to reap the benefits of our plant maintenance programs. To hear more about the plant maintenance services we can provide or to enroll in a plant rental package, give Foliage Design Systems Atlanta a call at 770-451-0885 today.